Our first app is here! 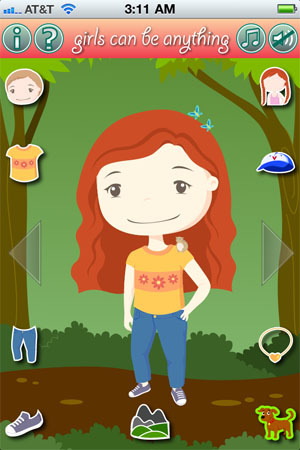 Girls Can Be Anything Paper Dolls is an age-appropriate dress-up app for kids. 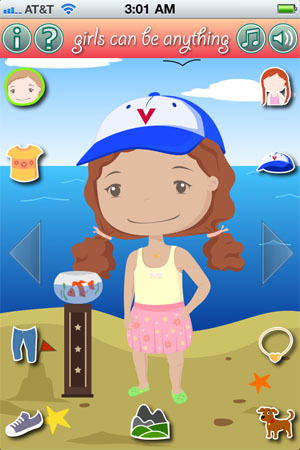 This is part of a series of empowering apps we’ve been developing, all inspired by a real-life 4-year-old girl who loves the iPod, iPhone and iPad. Kid inspired, parent approved! Recently upgraded with more clothing, accessories and pets!. 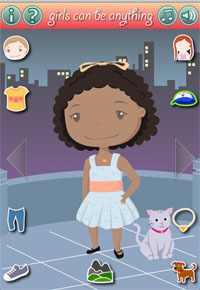 Please help us spread the word about Girls Can Be Anything Paper Dolls!